JBL CONTROL 24C 4 In. 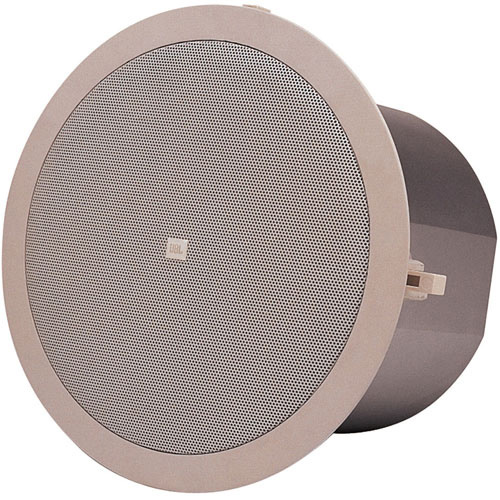 Coaxial Micro Ceiling Speaker is a compact in-ceiling speaker, providing full, high quality sound for background music and music-plus-paging systems. These speakers are ideally suited for a wide variety of applications, from restaurants and specialty retail stores to professional offices and airports. Low distortion and a smooth, natural frequency response make the Control 24C Micro ideal for medium volume business music system as well as for the medium to low SPL segments of larger or louder systems. Low frequency output can be augmented with the addition or one of the Control Contractor sub woofer models. Similar mid/high frequency voicing to other JBL Control Contractor loudspeakers can, in many systems, allow for mixing and matching of models within zones without requiring separate equalization.